Excellent Dental Specialists (New Braunfels) - Book Appointment Online! 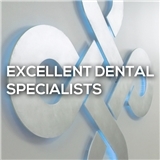 Our mission: To provide comprehensive, individual dental care by a team of board certified dental specialists. Our vision: Our passion is changing our community by providing extraordinary care through a world class professional team. We are the dedicated to providing you with the personalized, gentle care that you deserve. We are trained to provide various forms of sedation to ensure your visit is comfortable. Part of our commitment to serving our patients includes providing information that helps them to make more informed decisions about their oral health needs.